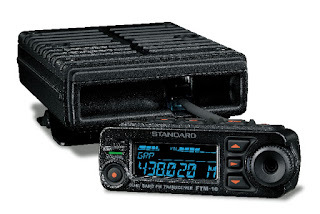 Here is the new Kenwood TH-255A VHF portable transceiver. 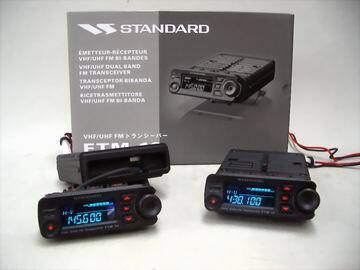 Not quite the Yaesu version, but here is the FTM-10S, the Standard edition. Two new dualbanders got FCC approved today. The Kenwood TM-V71A (TM-V71E in Europe). Cool, now you can have it all! Your hand-powered flashlight/cell phone charger/radio. And this 22 channels of fun FRS/GMRS radio. So now you can talk your fellow stranded "disaster refugees" and talk about the weather! ;-) Unless that is, you allready have a hand-crank weather radio! This beauty is sold by Life-Gear which also offers an impressive array of disaster supplies, like food and water and complete emergency kits. Yaesu/Vertex is about to come out with a new amateur radio, the FTM-10R.